What makes a wedding a memorable and unique day? Without any doubts, the beautiful couple surrounded by their family and friends! However, any wedding celebration takes a lot of preparation and the details play an essential role. Details create the atmosphere of an event, they surround your guests, putting them in a happy mood and creating great memories. 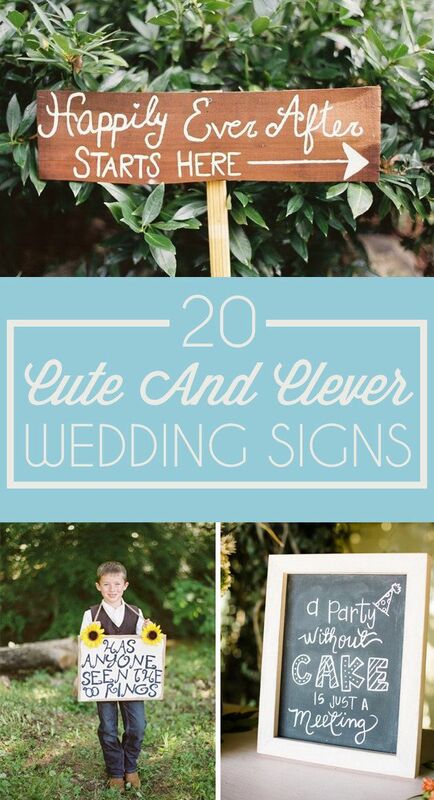 Today we would like to share some cute, funny, touching and clever wedding signs to enhance your big day.